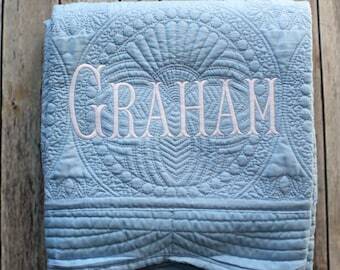 This listing is for a personalized monogrammed baby quilt for your sweet baby girl or boy. The scalloped edges of the blanket add a sweet detail, and the two toned color of the monogram make this quilt extra adorable! 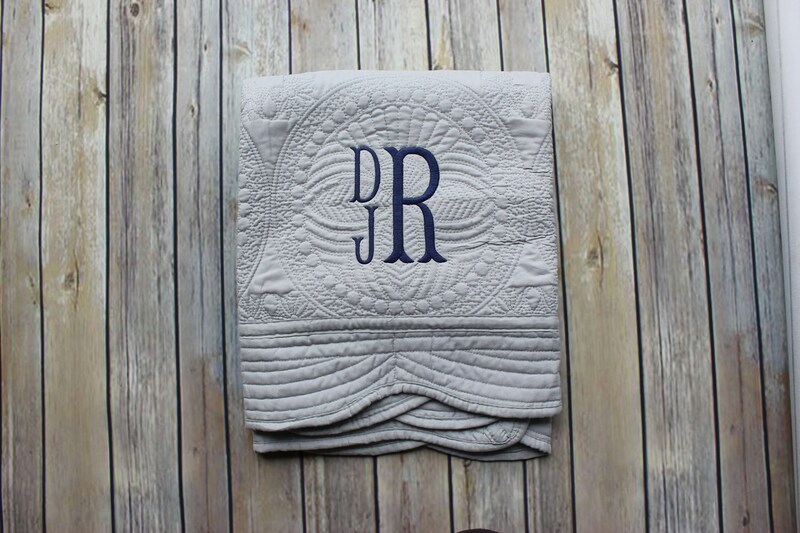 You can choose a different color monogram in the drop down options if you would prefer different colors! 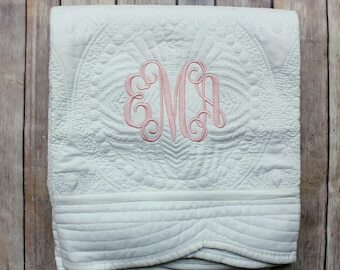 This blanket comes with the three letter monogram (first, LAST, middle unless you specify otherwise) for the baby. 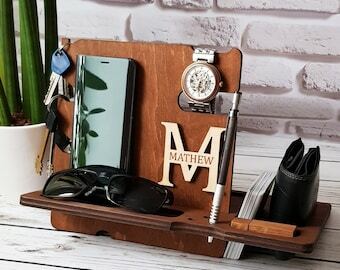 Please be specific when leaving me the letters so I can make sure they are in the correct order. 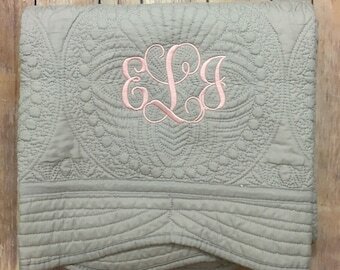 Please let me know in the notes to seller box at checkout what colors you'd like the monogram to be.